For over 40 years, PBS39 has served over 2.6 million households in Eastern Pennsylvania and Western New Jersey by broadcasting national PBS content, producing weekly local television programs and full-length documentaries, and serving over 33 school districts with educational services for both students and educators. In order to meet the ever changing demands of their audience, PBS’s offerings need to grow and evolve however their building had reached its limits in both space and technology. Through the acquisition of grants, they were able to build a new facility that would help this station grow. 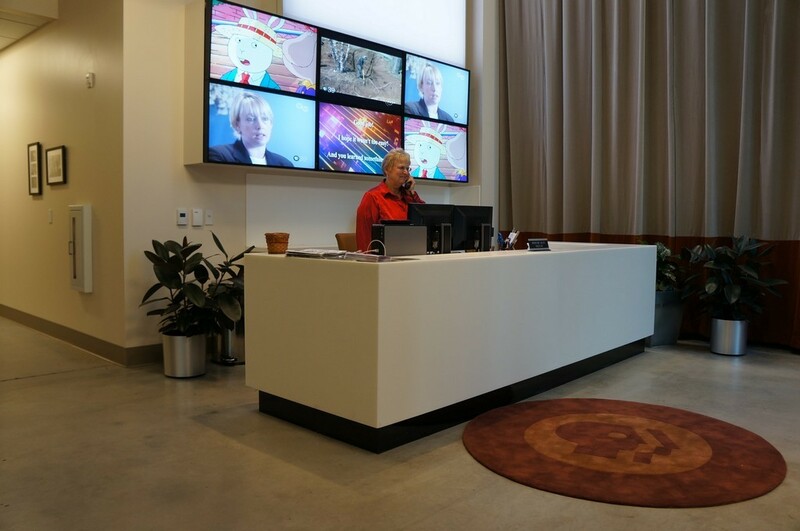 Cenero helped to catapult PBS39 into the 21st Century with the design and installation of an integrated audio visual solution for the PBS39 Public Media and Education Center’s Community Room. Furnished with the latest Polycom audio and LifeSize video conferencing technology, SMART Board and Christie Digital high resolution projection system; PBS39 now has a conference room that rivals any of those in the Mid-Atlantic region. Because user-friendly control is paramount to the success of this room, the latest Crestron DigitalMedia controllers and an interactive touch panel were installed to provide an intuitive interface to easily operate all systems, including lights and shades. Digital signage was a key addition in the new facility. The front lobby was outfitted with a digital signage wall consisting of six NEC 46” High Definition LCD displays, and six more displays were strategically placed throughout the hallways delivering content and messages to everyone in the building.